Day 11 - No shoulders and lots of traffic. Really the most interesting thing today were the street names in a community called Timberlane. Names like Stumpknocker, Panfish, Snapping Turtle, and Shellcracker. After that and the nice places along the lake there was not much scenery. There is a lot of mining here. It looks to me like they are mostly digging up sand and hauling it places. A few of these sand haulers buzzed me as well. As usual it was farther to my destination than I anticipated. Got to the park worn out and hot not even sure if there would be a spot. Low and behold there was another loaded touring bike and Robert was happy to share his site with me. 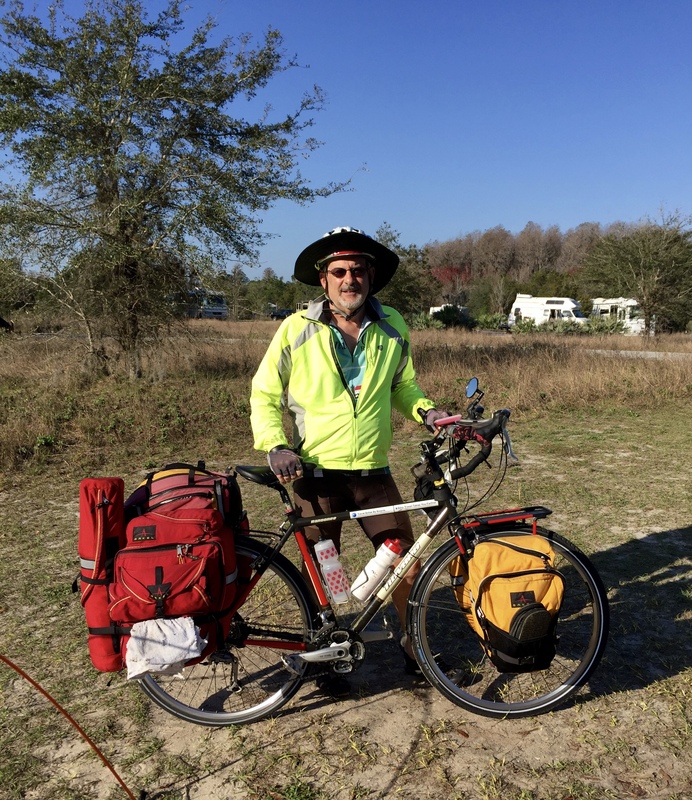 Robert is from Maryland and is cycling South. Robert and I shared a campsite at Lake Louisa State Park.